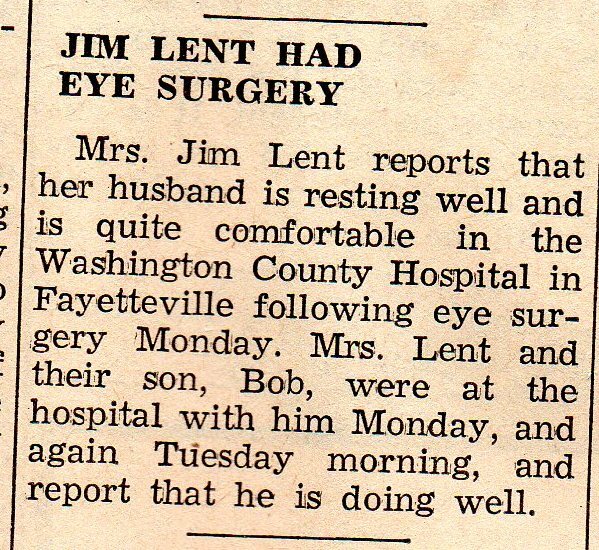 This hospital report is from page eight of the April 15, 1965 edition of the Eureka Springs Times-Echo newspaper. At the time, the Carroll County Hospital was located in Eureka Springs. With privacy laws as they are, hospital reports are now a thing of the past. 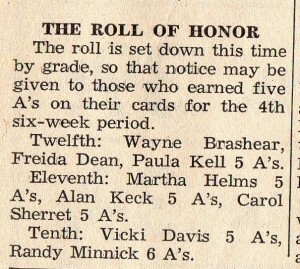 This clipping is from page 8 of the April 15, 1965 edition of the Eureka Springs Times-Echo. 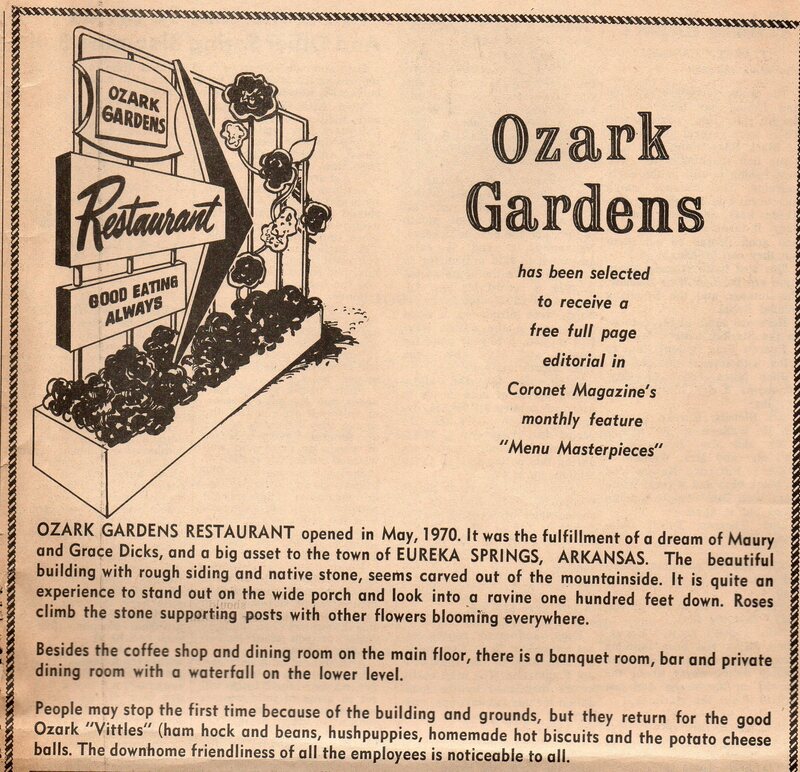 This advertisement for the Ozark Gardens appeared on page six of the October 21, 1971 edition of the Eureka Springs Times-Echo newspaper. 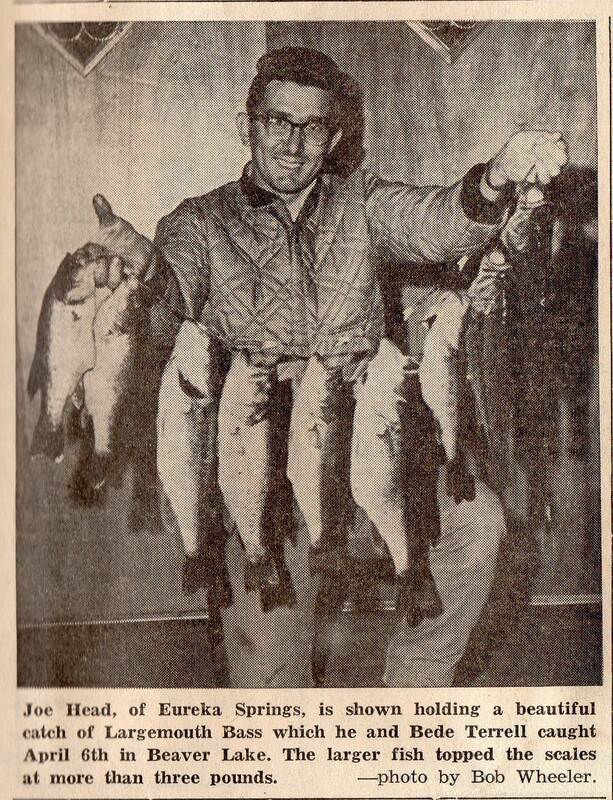 This photograph was on the front page of the April 15, 1965 edition of the Eureka Springs Times-Echo. 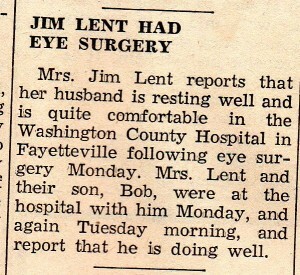 This article was on the front page of the April 15, 1965 Eureka Springs Times-Echo. For many years, the Lent family and the Weems family were neighbors at the top of Magnetic Hollow. I grew up hearing stories about Mr. 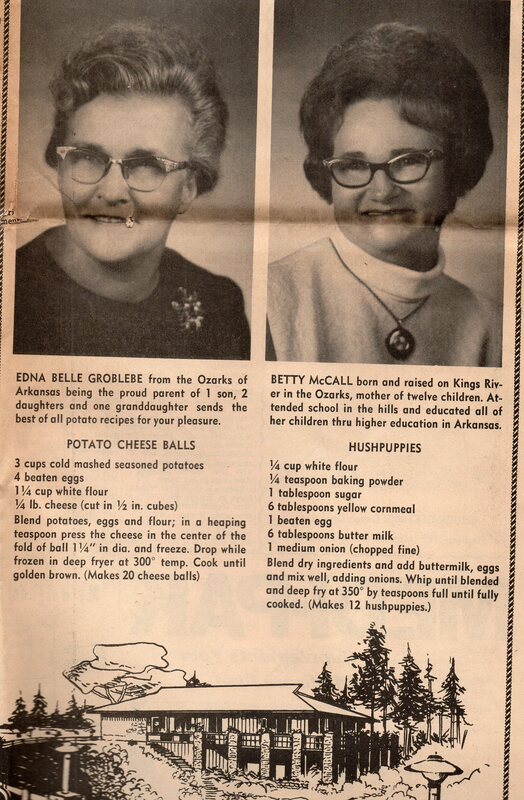 Lent. 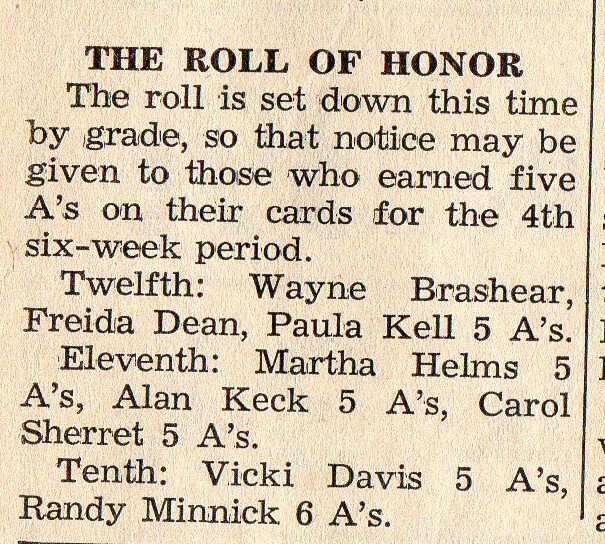 This item is from the front page of the April 15, 1965 Eureka Springs Times-Echo newspaper. 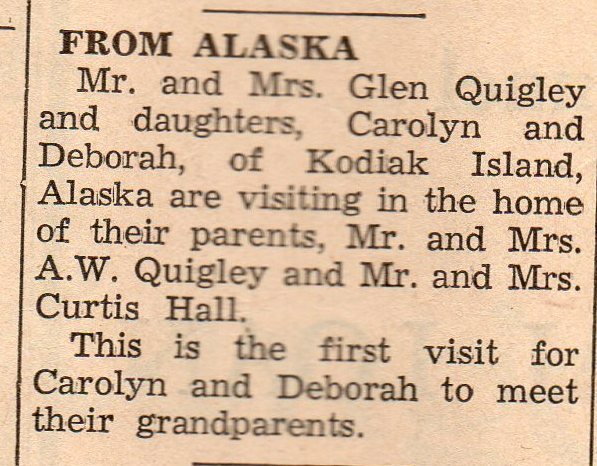 This clipping is from the front page of the April 15, 1965 edition of the Eureka Springs Times-Echo newspaper. This advertisement for the New Basin Theatre is from page 2 of the November 18, 1965 Eureka Springs Times-Echo. 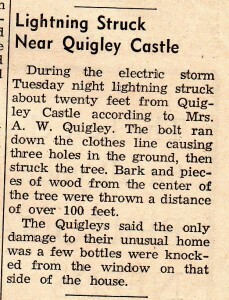 This clipping is from page 7 of the March 25, 1965 Eureka Springs Times-Echo. 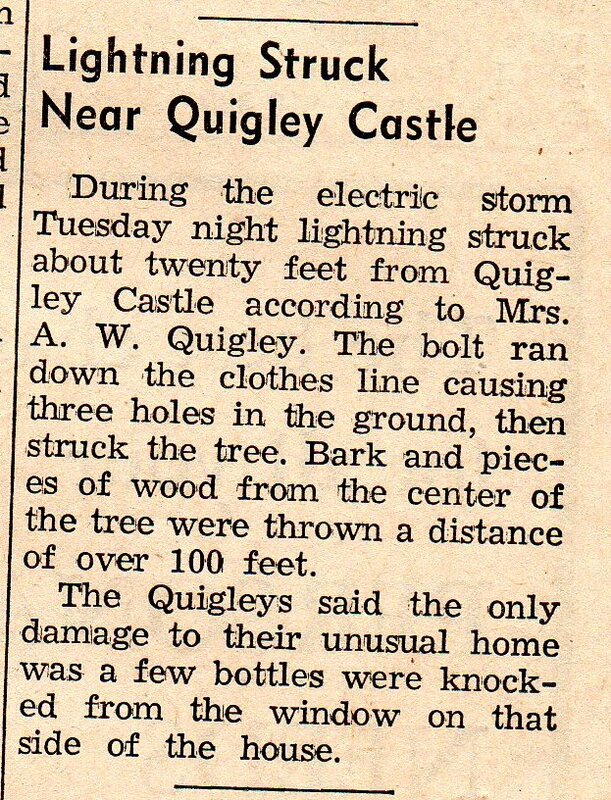 This clipping is from the front page of the March 25, 1965 Eureka Springs Times-Echo. 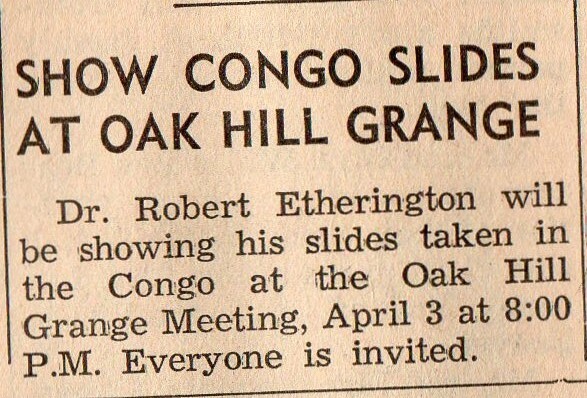 I would’ve liked to have heard Dr. Etherington talk about his trip to the Congo, but, alas, he hadn’t delivered me yet at this point. I suppose Dr. Etherington took care of me as a baby (seems I recall a story about him dropping me), but I didn’t see him again until I was fifteen and he was the doctor on duty in the Emergency Room at the Eureka Spring Hospital. I had tripped while taking down a pot of hot coffee from the burner up on a shelf. I asked my employer if I should go home and change my shirt. My employer had the head waiter rush me to the hospital where Dr. Etherington said I had second degree burns and proceeded to wrap my neck and head like that of a mummy. 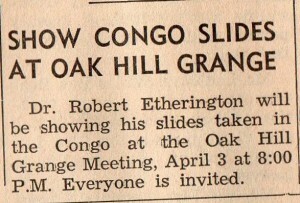 Had I known about his trip to the Congo, it would have been an opportunity to ask about it.